As a Texan, my initial reaction to hearing a movie titled Lady Bird was the same as that of my mother, "You mean the First Lady?" Ask anyone from between El Paso and Texarkana about 'Lady Bird', and one of two images will crop up: Mrs. Lyndon Johnson or Hank Hill's hound dog. I cannot say that Greta Gerwig naming her main character 'Lady Bird' did not end up confusing almost all Texans, along with lovers of history, but Lady Bird, while still very much within the trappings of indie films, is still a beautiful tribute to mothers, daughters, and other strangers. Christine (Saoirse Ronan) insist on being called 'Lady Bird'. Her mother Marion (Laurie Metcalf) is coolly tolerant of such things, not enthusiastic about them but willing to acquiesce. 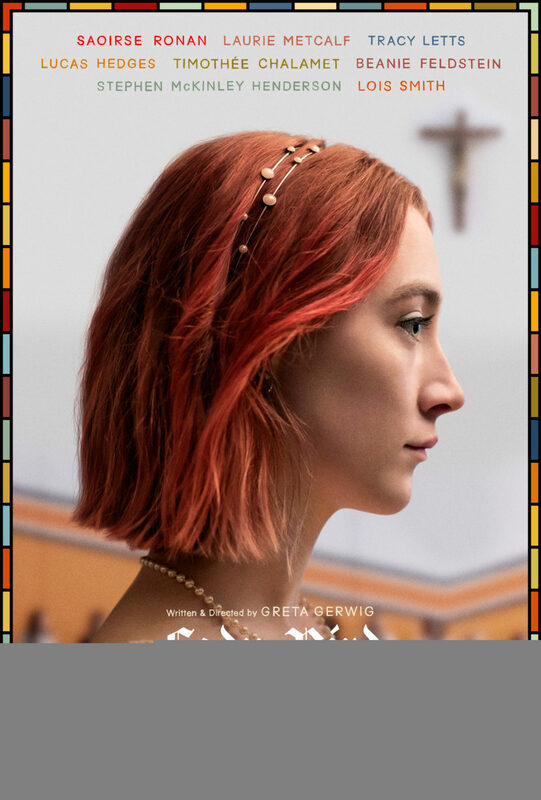 Marion and her husband Larry (Tracy Letts) are facing financial difficulties but still opt to send Lady Bird to Catholic school rather than public school after Lady Bird's adopted brother Miguel (Jordan Rodrigues) saw a stabbing at his school, something Lady Bird insists on questioning. Miguel and his girlfriend Shelley (Marielle Scott), who is also living with Lady Bird's family, are not keen on much. Lady Bird, however, is keen on one thing: getting out of Sacramento, California. She applies to various East Coast universities despite both their limited incomes and Marion's hope that Lady Bird stay local to save money. In this her senior year, Lady Bird finds love, first with Danny (Lucas Hedges), until she accidentally discovers his closeted secret, then with Kyle (Timothee Chalamet), a hipster rich kid whose nonchalance on all matters borders on the catatonic. Lady Bird continues to navigate life with her off-again, on-again BFF Julie (Beanie Feldstein) and with Jenna (Odeyah Rush), the most popular girl in school who is also one of the wealthiest. Getting some wise words from Sister Sarah (Lois Smith) and Father Leviatch (Stephen Henderson), Lady Bird finds that who she is as Lady Bird is not far from who she is as Christine. She does manage to get to New York City, with her mother deeply hurt by Lady Bird going behind her back to get there. Finally, in NYC, she finds her true self, and that home is something to appreciate. In many ways, Lady Bird's screenplay is, to my mind, overrated. It has moments that I didn't think realistic (how Lady Bird and Julie find out Danny's desires do not match her own is a bit convenient) and other elements that are introduced then disappear (Father Leviatch withdraws from directing the school spring play after having successfully directed the fall musical, apparently due to some illness, only to never see or hear from him again). As a side note, while I am not familiar with school musical productions, I was unaware that Catholic schools were big into Steven Sondheim, but I'm not Catholic either, so there it is. Lady Bird has a lot of the trappings of indie films: the cliched characters (Chamalet's hipster, Feldstein's lovelorn student for the cool teacher), but it also has an authentic aspect that must be noted. Of particular note is when Marion and Lady Bird are shopping at a thrift story (by the looks of it, a Goodwill). As the mother and daughter argue over something, Marion pulls out a dress and instantly the argument is forgotten as both comment on how wonderful the dress is. Moments like these, moments that feel authentic and true-to-life, moments that most people have had, are what pushes Lady Bird higher, that make it better than those hip films with the 'wise-beyond-her-years' students. Part of Lady Bird's success also comes from the fact that Lady Bird herself is not 'wise-beyond-her-years'. As played beautifully by Ronan, Lady Bird can be dumb, thoughtless, and cruel, awkward and silly. Ronan and Gerwig shape Lady Bird into someone who does not have all the answers, who is flawed but still a basically decent person. Even her prank against Sister Sarah is actually both pretty tame and almost endearing (she places 'wedding' ribbons and a sign saying "Just Married to Jesus", which in Catholic theology is pretty accurate). In most films, Lady Bird's put-down of a pro-life advocate at the Catholic high school would have been celebrated as a sign of her independence. In Lady Bird, this dismissal of a woman whose mother chose not to abort her has actual consequences, ones that both upset Lady Bird and cause a fury within her. Lady Bird also has Metcalf as the loving mother, and I'd argue Marion genuinely loves Christine even if she is not particularly adept at showing it. Metcalf and Gerwig again make her flawed but real. Looking back at it, in most other films when Lady Bird snaps at her mother's mothering skills, it would be a put-down that Marion would have no response to. 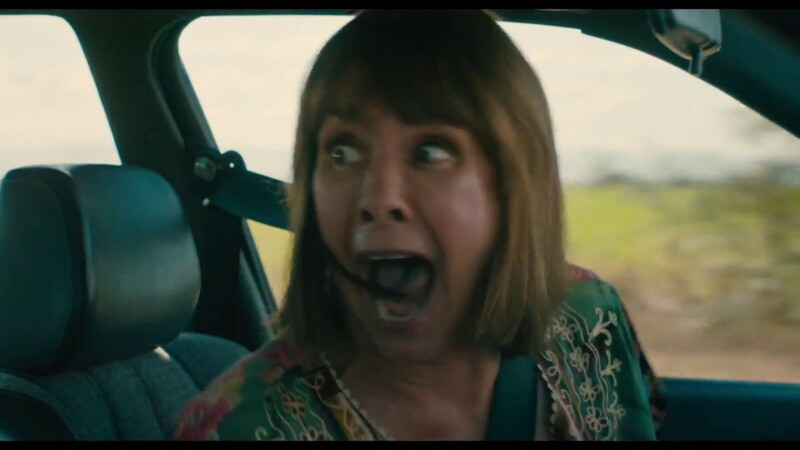 Marion, however, tells her daughter that Marion's mother was 'an abusive alcoholic', and it sounds so real to make it clear to Lady Bird (and the audience) that Marion knows she is not perfect but she is also by no means a villain or uncaring or insensitive. Like everyone else in Lady Bird, Marion is a good person doing the best she can. It is so nice to see Hedges play something other than an angry young man (see Manchester By the Sea but don't see Three Billboards Outside Ebbing, Missouri). His Danny looks like he's genuinely in love with Lady Bird, but when we get a twist (which I still don't fully believe) his last major scene where he breaks down in tears over it all show why Hedges has a bright career. Chamalet may be a stock character, but he does his role well too. What makes Lady Bird so good is that while it has the trappings of an indie film with the characters and situations, our characters are not perfect or all-knowing. What they are is all-caring, even when they don't show it. We all want to fit in with the 'popular' kids and sometimes pretend to live in nicer homes. We all snap at our relatives but, like Miguel recognizes when Kyle honks for his sister, 'even she deserves better'. We all break with our friends only to make-up with them and find they really are BFFs. We all struggle with our parents, only to feel we need them when we need a shoulder to cry on. Lady Bird is a moving, delightful, real film. It isn't perfect, but then again neither are the characters. Don't it always seem to go, that you don't know what you've got till it's gone?